1.2 Employees of Union JACK, JACK Media National Ltd, prize sponsor and/or agencies associated with our competitions and their immediate families are ineligible to enter. Any such entries will be invalid. For these purposes, immediate family includes partner, grandchild, child, brother, step-brother, sister, step-sister, parent, step-parent, or grandparent of you or your partner or anyone noted as next of kin on any legal document. 1.3 Union JACK reserves the right to require proof of age and evidence to verify the identity of an entrant at any time, and may use any reasonable channels and methods available to carry out checks of any details provided by entrants. Phone entrants are required to call the number as indicated in the Competition Information. Entrants will be required to leave an answer to the relevant competition question, their full name, address, a daytime contact telephone number and email address. The charge per call will be at local call rates. Other landline and mobile operators' network charges may vary. Union JACK does not accept responsibility for any call charges. Entrants must have the permission of the bill payer before calling. We may send you free promo msgs to optout Reply NOINFO to 87474. Or call our helpline 03301 22 44 88. Where applicable you may enter the competition by sending an entry (as advised) with your answer, full name, email address and a contact telephone number to the postal address indicated in the Competition Information. There is no charge for postal entries other than the cost of postage. Entries sent by post must reach Union JACK at the correct address by the specified deadline for entries. Postal entries are deemed to be received upon arrival at Union JACK at the correct address. Union JACK does not accept responsibility for any incorrectly addressed or undelivered entries or for any disruption, delay or misdirection of postal entries. 3.1 Any entries which are incomplete, incorrect, inaudible, incomprehensible, or not received by Union JACK by the due deadline will be void. 3.2 UNION JACK has the right to consider void any entrants that are unavailable to go on air at a time suitable to Union JACK. 3.3 In the event of any fault, mistake, misunderstanding or dispute concerning the correctness or acceptability of any answers given by entrants, or the operation of any part of the competition, network or phone system, the decision of Union JACK shall be final and no correspondence will be entered into. 3.4 UNION JACK will not be liable to reimburse expenses incurred in making an entry and no refund will be made for the cost of any entry. 4.4 The winner will be notified on the date the winning entry is selected or as soon as practical thereafter, or as otherwise indicated in the Competition Information. You will be contacted on the phone number provided when entering the competition. You will have a specified fixed time period in which to claim your prize, usually 30 working days unless otherwise specified in the Competition Information. This 30 day period is from the point you have been informed that the prize is available for collection. Failure to respond within the specified time period may result in forfeiture of the prize although Union JACK will make reasonable efforts to contact the winner to ensure this does not happen. However, Union JACK reserves the right to offer the prize to the next eligible entrant and thereafter until a winner is found. 4.5 Union JACK may refuse to provide a prize, or may seek its recovery, in the event of non-entitlement under these Terms or an entrant's breach of these Terms, or the Competition Information, or fraud or dishonesty. 4.6 Union JACK reserves the right in its sole discretion to withhold a prize until proof of eligibility and identity has been confirmed and to disqualify the entrant in the event this is not provided, within any period specified by Union JACK. 4.7 Union JACK endeavours to have prizes available as soon as is practical after the competition has closed. 4.8 No cash equivalent or alternative prize will be given and the prize is non-transferable and non-exchangeable. However, Union JACK reserves the right to change the prize due to circumstances beyond its control or to offer an alternative of similar value. 4.10.1 In the interest of fairness, Union JACK has the right to restrict prize winners to winning one prize per 365 consecutive days of the calendar year. Where this clause is enforced, prize winners will be notified in writing. 4.10.2 Where prizes involve the prize winner(s) travelling, the prize winner(s) (and guests if applicable) shall, unless otherwise indicated, be responsible for all their travel costs and shall be required to hold valid passports and/or other necessary travel documents and visas. Where prizes are fixed to a certain date, prize winner(s) (and guests if applicable) must be available to travel on the date specified by Union JACK and no alternative dates will be available. 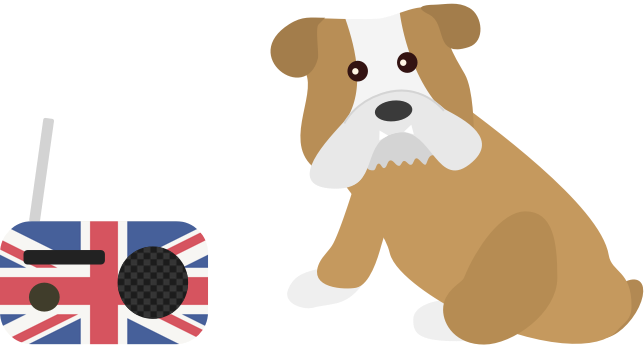 Where prizes involve travel on a date selected by the prize winner(s), the date chosen is subject to availability and Union JACK reserves the right to include a date by which the prize must be taken (within reason). 4.10.3 Prizes offered by Union JACK are in most cases provided to the company by a third party or sponsor. In such cases and at the end of the competition, the liability passes from Union JACK to the sponsor for the deliverance of the prize offered. If the sponsor or third party therefore cannot deliver the product or prize due to liquidation or similar, Union JACK is not responsible for its provision. Similarly, Union JACK is not responsible for the supply or non-supply or purported supply or delay in supply of a product or prize. 4.10.4 For cash prize winners, 28 days must be allowed for the processing of the cheque. Cash prize winners may also be required to present a valid form of identification in order to receive their prize. 5.2 Union JACK cannot promise that the various processes involved in providing the competition will be free from errors or omissions nor that they will be available uninterrupted and in a fully operating condition at all times. These services may be suspended temporarily and without notice in the case of system failure, maintenance or repair or for reasons reasonably beyond the control of Union JACK. Union JACK will not be liable to you or to any other person in the event that all or any part of these services are discontinued, modified or changed in any way. 5.3 Nothing in these terms and conditions shall exclude or limit Union JACK's liability for death or personal injury caused by their staff or supplier's negligence or for fraud. 6.1 In the event that any entrant does not, or is unable to comply with these Terms and Conditions or the Competition Information, Union JACK shall be entitled at its sole discretion to disqualify such entrant, without any further liability to such entrant. Entrants must comply with any directions given to them by Union JACK including in relation to any and all relevant laws, rules and regulations. 6.3 Union JACK reserves the right to withdraw or amend any competition as necessary due to circumstances outside its reasonable control. 6.4 Competition winners may be required to take part in publicity activity associated with the competition. Union JACK (or any third party nominated by Union JACK) may exercise its sole discretion to use the winner's (and, if applicable, their companion's) name and image and their comments relating to the prize and competition experience for future promotional, marketing and publicity purposes in any media without notice and without any fee being paid. 7.1 Information and data which is provided by entrants when they enter ("personal data") will be held and used by Union JACK, and its suppliers and contractors in order to administer the competition. Entrants' personal data may also be passed to their mobile phone provider or to relevant regulatory bodies, the police or other authorities in the course of the investigation of any complaints or suspected unlawful activity or where requested by the phone provider in connection with the billing arrangements for the competition. Aggregate and non personal data may also be used for the purpose of undertaking market research or in facilitating reviews, developments and improvements to relevant services. 7.2 Union JACK will keep prize winner(s) personal details for a reasonable time in order that prizes can be sent to the prize winner(s); rules can be verified to have been complied with and for accounting purposes. Union JACK may pass prize winner(s) details on to our third parties or sponsors for the purpose of delivering the prize. 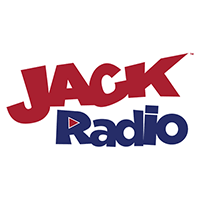 8.2 The promoter is JACK Media National Ltd trading as Union JACK, 37 Market Square, Witney, Oxon, OX28 6RE. 8.3 Any listener enquiries should be notified to UNION JACK on 03301 22 44 88.